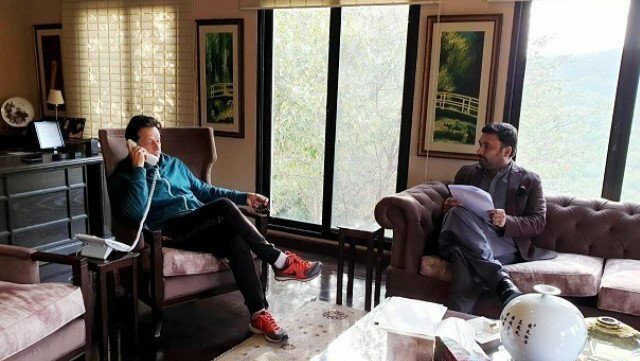 Microsoft co-founder and billionaire philanthropist Bill Gates called Prime Minister Imran Khan on Wednesday and discussed the steps the government had taken to eradicate polio from the country. The prime minister’s focal person on polio eradication, Babar Atta, said that the premier told Gates that traces of polio virus had been found in three cities — Karachi, Peshawar and Chaman, a town near the Pak-Afghan border. PM Khan also told Gates that the government is facing some difficulties eradicating polio due to the movement of people between Pakistan and Afghanistan but that his government is working on a new strategy to counter this. Gates appreciated PM Khan’s anti-polio efforts. The Bill & Melinda Gates Foundation has been helping Pakistan’s polio eradication programme for years. During the 30-minute conversation, the two also discussed how technology can be used to increase the effectiveness of polio eradication, said Atta. The issue of poverty alleviation also came under discussion. PM Khan told Gates that Dr Sania Nishtar has been appointed the head of the BISP.